° FIRST FLOOR - UPDATED and BEAUTIFUL FINISH OUT! ALL UTLITIES PAID (except internet, cable and phone) with your lease. Great Location mins to Love Field, Whole Foods, DNT, Uptown, Medical District and Downtown. Just in time for POOL SEASON this unit is poolside. GATED and parking just outside the gate. NEWER kitchen appliances. SS single basin larger sink, beautiful back-splash. Stained concrete floor thru out. Bathroom includes spacious shower with dual spa sprays and under counter storage. The Bedroom has two walk in closets offering great storage. Bedroom offers ceiling fan to provide efficient and quick cooling or heating. Smaller community with laundry room on premises. A MUST SEE! ° Additional Info: Pets allowed limit 0, unfurnished, no W/D connections, 0 covered parking space(s), Dallas ISD. ° One bedroom condo features upgraded granite counter tops, wood floors, stackable washer and dryer, and black stainless steel appliances. Conveniently located near shopping and dining at Inwood Village and Love Field Airport. Amenities include use of pool, club house, and gym. Tenant to verify all schools and information. Pets on a case by case basis. Pets must weigh less than 20 pounds due to HOA rules. ° Additional Info: Pets allowed limit 2, unfurnished, available now, 0 covered parking space(s), 1 fireplace(s), Dallas ISD. ° Totally updated in prestigious Highland Park neighborhood 1BR, 1BA. Highland Park Address. Amenities: HP Pool, Tennis courts, library. Half a block from Knox Street where you can find all high end restaurants and shops. Backs up to Katy Trail, great for jogging and dog walking. Covered Parking space. ° Additional Info: Pets allowed, unfurnished, 1 covered parking space(s), Highland Park ISD. ° Come experience the luxurious Shelton high-riseâ€¦ a perfect getaway located right here in HPISD. Amenities abound in this sophisticated building, from the daily Valet & 24hr security to gorgeous common areasâ€” pool, entertainment center, gym and all. This 1 bedroom unit features a modern kitchen and plenty of living space with ample storage for you. Balcony furniture included. 2 parking spots in the garage quite a gift. Walk to the Hilton for breakfast, get your juice on at the GEMâ€” work, shop, LIVE in Preston Center! ° Additional Info: No pets allowed, unfurnished, W/D connections incl., available now, 2 covered parking space(s), Highland Park ISD. ° Listing Agent: Breck Gallini, Allie Beth Allman & Assoc. ° A beautifully updated one bedroom unit in the prestigious Crestpark Condominiums with HPISD schools. The entry hall opens to a spacious living and dining room, with hardwoods and built in book shelves. A fabulous kitchen with slate floors has stainless steel appliances and granite counters. The master bedroom is carpeted with a walk in closet and private master bath. This seventh floor unit has downtown views, an expansive lobby entrance, pool, and work-out facilities. Lease includes a stack washer dryer. ° Additional Info: No pets allowed, unfurnished, W/D connections incl., 1 covered parking space(s), 1 fireplace(s), Highland Park ISD. ° Listing Agent: Susan Levanas, Allie Beth Allman & Assoc. ° This beautiful, boutique community is tucked away in the Highland Park ISD. The spacious floor plans and stunning finishes are one of a kind. Newly renovated units showcase state of the art appliances, fixtures and appliances. The location provides easy access to all major highways, Whole Foods, SMU, Downtown, Uptown and Highland Park Village. ° Additional Info: Pets allowed limit 2, unfurnished, W/D connections incl., 2 covered parking space(s), 1 fireplace(s), Highland Park ISD. ° This property is one of the limited floor plans in the complex with an expended master bedroom and a great poolside location. Ground floor unit features refrigerator, washer & dryer in unit, flooring (Wood & Tile), built in mirrors, ceiling fans, wood burning fireplace. Complex features limited access gates, pool, sun deck and more. ° Additional Info: No pets allowed, unfurnished, W/D connections incl., available now, 1 covered parking space(s), 1 fireplace(s), Dallas ISD. ° Well-maintained complex close to Highland Park, Inwood Village and Love Field. Lots of green space and mature trees along with a community pool. If you're looking for character and charm this is it! Unit has large downstairs living-dining room. The townhouse has hardwood floors throughout. Nice fenced patio to enjoy a cup of coffee or adult beverage. Pets must weigh less than 30lbs. ° Beautiful two bedroom,one bath two story unit. New flooring in living room, dining, kitchen and upstairs bathroom. This beautiful unit has been freshly painted, and carpets have been professionally cleaned. A washer, dryer is included and there is plenty of storage space. Access the Katy Trail, which is right behind this complex. ° Additional Info: No pets allowed, unfurnished, W/D connections incl., 1 covered parking space(s), Highland Park ISD. ° Listing Agent: Carmen Chapa, Carmen Chapa Real Estate, LLC. ° Beautiful two bedroom two bathrooms located behind Inwood Village, close to tollway and restaurants. Water paid by the owner and Washer and Dryer included. Separate living room and dining room, kitchen offers all appliances, refrigerator and washer and dryer included. Split bedrooms with individual bathrooms. One covered and one uncovered parking spaces in the gated community. Tenant responsible for verifying property information, utilities, and schools. ° Across from SMU and minutes from Downtown. Updated & well maintained 2-story w-open living & dining, wet bar, granite c-tops, laminate floor on first level. Two entrances to courtyard makes it suitable for roommates. Second bedroom can also serve as study. Balcony w-storage. Community pool-spa. Two underground assigned parking spaces.Frig,washer&dryer. Highland Park Schools! Rent includes HOA dues. ° Additional Info: Pets allowed, unfurnished, W/D connections incl., available now, 2 covered parking space(s), 1 fireplace(s), Highland Park ISD. ° Listing Agent: Stephen Birnbaum, Marc A. Birnbaum, Inc.
° Updated two bedroom corner unit condo near SMU and Highland Park Middle School. Engineered wood floors throughout, granite in kitchen and both baths, wet bar, two fireplaces, plantation shutters on all windows, French doors to a private balcony, pool and two covered parking in secured garage. Fantastic location that is walking distance to SMU, Armstrong, MIS, HPMS, shops and restaurants along Hillcrest and Snider Plaza. ° Additional Info: Pets allowed, unfurnished, W/D connections incl., available now, 2 covered parking space(s), 2 fireplace(s), Highland Park ISD. ° Two story condo, neutral colors, stainless kitchen, window treatments, balcony off kitchen and master, updated kitchen with granite and stainless steel, half bath off entry. Two assigned parking spaces. Walk to SMU, Snider Plaza and University Park pool and tennis courts. ° Listing Agent: Cynthia Beaird, Allie Beth Allman & Assoc. ° Beautiful 2 bedroom, 2 bath luxury apt.half block from SMU and Snider Plaza. Live in the heart of University Park! Apt amenities include 2 car attached garage, all appliances including a washer and dryer, hardwood floors, granite countertops, walk in closets, designer two tone paint, wood burning fireplace, blinds and lots of storage. Lease term is 12 months June-May. Apt is available the first week of June. Summer subletting is permitted. ° Additional Info: No pets allowed, unfurnished, available 6/1, 2 covered parking space(s), 1 fireplace(s), Highland Park ISD. ° Beautiful, spacious condo with covered patio w-storage closet and 2 gated garage spaces for rent WALKING DISTANCE TO SMU and in Highland Park ISD. Fridge and washer dryer included. Updated kitchen w-good cabinets, granite counters & tumbled splash, dbl sink, electric range w-overhead microwave. Bedrooms have private baths w-granite counters & lots of closet space. Master has dual sinks and built-ins in closet. ° Additional Info: Pets allowed, unfurnished, onsite W/D connections, available 6/2, 2 covered parking space(s), 1 fireplace(s), Highland Park ISD. ° AVAILABLE JUNE 5th. A block to Highland Park Middle School and across the street from SMU. Two story updated condo with split bedrooms - one up and one down, each with updated full bath and walk-in closet. Private gated patio. Hardwoods in living areas and carpet in the bedrooms. Updated kitchen is open to living and dining areas. Lots of windows and tons of light. All appliances provided; including washer & dryer. 1 car garage. Available June 5th. New carpet in bedrooms will be installed before move-in No Smokers. Pets on a case-by-case basis. ° Additional Info: Pets allowed limit 1, unfurnished, available 6/5, 1 covered parking space(s), 1 fireplace(s), Highland Park ISD. ° Fabulous location in sought after University Park, walking distance to Snider Plaza & SMU! 2 bedrooms, 2.5 baths, spacious living room with fire place, and ample storage space throughout. Washer & dryer included. One attached garage space, and one additional reserved space. Available August 1st! ° Additional Info: Pets allowed, unfurnished, W/D connections incl., available 6/1, 1 covered parking space(s), 1 fireplace(s), Highland Park ISD. ° Listing Agent: Caroline Babb, Compass RE Texas, LLC. ° Superb opportunity to be walking distance to SMU, Highland Park Middle school and some great shopping and restaurants. Gated Patio in front. All hardwood floor. Kitchen and bathroom has granite counter tops. All appliances including refrigerator, washer & dryer provided. Ideal for SMU students with a roommate or a small family. Permit parking on street. Available now. No Smoking. ° Additional Info: Pets allowed, unfurnished, 2 covered parking space(s), 1 fireplace(s), Highland Park ISD. ° Updated 2 bedroom, 2 bath townhome in a great location with walkability to nearby schools and Snider Plaza. Hardwoods throughout, lots of windows give great natural light, and custom electric shades. One bedroom and bath downstairs, second bedroom upstairs along with open kitchen, living and dining room with fireplace. Attached 2 car garage with included washer and dryer make this a desirable find. Prefer to rent furnished! ° Additional Info: No pets allowed, unfurnished, W/D connections incl., available now, 2 covered parking space(s), 1 fireplace(s), Highland Park ISD. ° Listing Agent: Mckamy Tiner, Compass RE Texas, LLC. ° Townhome directly across from SMU! Custom details, great floor plan, all hardwoods, open kitchen, granite counters, SS appliances including fridge & washer & dryer. Large LR with FP, ready for wall mounted TV. 2BR with walk in closets & baths with granite counters! Each unit has cobblestone patio & walkways. Perfect for SMU students. ° Additional Info: No pets allowed, unfurnished, available 6/19, 2 covered parking space(s), 1 fireplace(s), Highland Park ISD. ° Located in the exclusive Shelton high-rise building, unit completely updated in the PC area. Highland Park ISD. Kitchen boasts custom granite counters, SS appliances & opens to main living space.Main living space has hardwood flrs & opens to wonderful spacious balcony. MBath has a yetted tub, walk-in closet, & dual vanity. 2nd bedrm makes perfect retreat for guests or comfortable study. ° Additional Info: Pets allowed, unfurnished, available now, 2 covered parking space(s), Highland Park ISD. ° Listing Agent: Carolina Garzon, Allie Beth Allman & Assoc. ° Many updates, lots of natural light from 2 balconies and large windows. Woodburning fireplace, granite kitchen with electric cook top and double ovens, stainless refrigerator, large pantry. Separate laundry room with washer & dryer included for tenants convenience. The study could be used as a third bedroom. Master has a closet in the bedroom and two walk-in closets in the over-sized bath, separate vanities with granite, garden tub and shower. 2 assigned parking spaces, one covered. ° Additional Info: No pets allowed, unfurnished, available now, 1 covered parking space(s), 1 fireplace(s), Highland Park ISD. ° Additional Info: Pets allowed limit 1, unfurnished, available 6/15, 2 covered parking space(s), 3 fireplace(s), Highland Park ISD. ° Listing Agent: Vedah Daboub, Allie Beth Allman & Assoc. ° FULLY FURNISHED condo located in a gated community and within walking distance to shopping and dining. Flexible lease terms and easy access to major freeways. Open living,dining area with hardwood floors and flat screen TV. Fully Equipped kitchen with tile floor and counters and balcony . There is a dining area, utility room with washer and dryer and powder bath. Two bedrooms on second floor each with private bath; master with flat screen and king size bed. The second bedroom has two twin beds and walk-in closet. Pool on-site, gated community. Cable, Internet and 1st $150 of electricity included in lease. ° Additional Info: No pets allowed, furnished, W/D connections incl., available now, 0 covered parking space(s), Dallas ISD. ° Gorgeous 2 bedroom flat perfect for the easiest walk to SMU. This flat is an absolute diamond filled with natural light with windows on 3 sides, french doors opening to patio, large open floor plan, study area in bedroom & large walk in closets. ° Additional Info: Pets allowed limit 1, unfurnished, available 6/15, 2 covered parking space(s), 1 fireplace(s), Highland Park ISD. ° Spacious two-story condo is located in highly sought after Highland Park ISD and is within walking distance to SMU and Snider Plaza. Unit features stainless steel appliances, fully upgraded kitchen, balcony off the living room. Master has fireplace and huge walk-in closet. Two parking spaces in secure garage with remote-controlled garage door. Water, trash, HOA dues included in rent. MUST SEE!!! ° Additional Info: No pets allowed, unfurnished, W/D connections incl., 2 covered parking space(s), 1 fireplace(s), Highland Park ISD. ° Fabulous and well maintained 3 bedroom 3 bath condo in Park Cities with bright and open floorplan, featuring beautiful wood floors, fresh paint, neutral colors. Updated kitchen with granite, stainless steel appliances, open to living room with beautiful fireplace! Oversized bedrooms with huge walk-in closets. Walking distance to Snider Plaza & SMU. Carpet will be replaced before move in! ° Additional Info: No pets allowed, unfurnished, 2 covered parking space(s), 2 fireplace(s), Highland Park ISD. ° Absolutely stunning townhome in HIGHLAND PARK ISD!! Great location! Walk to SMU Campus!! Snider Plaza is just steps away!! Recently painted & updated flooring in all bedrooms! Stunning interior features include nail down hardwood floors! Gourmet kitchen with granite, stainless appliances! Wine Fridge! Double Ovens! Fridge included! Full size washer & dryer included! First floor bedroom with full bathroom! Main level living, dining & kitchen! 3rd level master suite & additional bedroom + bathroom! 2 car attached garage! Must see to appreciate this stunning townhome! ° Additional Info: Pets allowed, unfurnished, W/D connections incl., available 6/17, 2 covered parking space(s), 1 fireplace(s), Highland Park ISD. ° Georgian Brownstone located 3 blocks from SMU & Snider Plaza. Shows like new construction, built 1999. Only 4 units which offer convenience and sophistication. This home features: granite counters, Stainless Steel appliances, gas range, convection oven, hardwood floors, wrought iron balconies, CAT-5 wiring, central vac system, intercom, security system, surround sound, private patio and 9' ceilings. ° Luxury Living in the heart of University Park. The Heights on Rosedale complex offers ultimate luxury and convenience. This former 1st floor model unit boasts lots of natural light, decorator grade finish-out, open floorplan, high ceilings, SS appliances, over sized split bedrooms with private baths, reserved underground parking with gated access, elevator in complex, walking distance to SMU, Snider Plaza and area schools. This unit is a must see!!! ° Gorgeous 3 Bedroom, 3 Bath, 2 Car Garage home with one additional assigned parking space offered for lease and just a block from SMU!! This open floorplan lends itself well to entertaining. Beautiful designer touches with contemporary finishes throughout features stunning hardwood floors, stainless steel appliances, gas range, Quartz counter tops and include the washer and dryer. Patios are plumbed for gas grill! This property will not be available for lease until 6-7-2019. ° Additional Info: Pets allowed, unfurnished, W/D connections incl., available 6/7, 2 covered parking space(s), 1 fireplace(s), Highland Park ISD. ° Beautiful 3 bedroom - 3 bath recently painted and remodeled condo in the north tower of the pet-friendly Crestpark in Highland Park ISD. Spectacular views of Dallas from 3 sides through massive bay windows in this corner location, including western view for sunsets. The spacious living room has built-ins and a fireplace. The dining room opens to the breakfast room and kitchen with a double oven. Huge master suite provides a separate shower and tub as well as excellent closet space. Building amenities include concierge, valet parking, pool, two fitness centers, party room, and outdoor garden with park benches. Includes two parking spaces in the underground, gated garage. Washer, dryer, and refrigerator remain. ° Additional Info: Pets allowed limit 0, unfurnished, available now, 2 covered parking space(s), 1 fireplace(s), Highland Park ISD. ° Exquisite attention to detail on this highly sought after turnkey transitional condo in Highland Park. Neutral crisp tones reflect today's color palette. Museum finish walls, hardwood floors and gas fireplace welcome you to the spacious living area. Gourmet kitchen boasts Carrera marble, Wolf stainless steel appliances Sub-Zero stainless steel built in fridge, gas cooktop with pot filler. Peaceful master bedroom, two additional ensuite bedrooms. Fourth floor boasts extensive media, gameroom, office, playroom or guest quarters. Abundance of natural stone in bathrooms. Private 300 sqft fenced yard. Unit also has designated space for future homeowner to add an elevator. Walk to SMU, HP Middle School. ° Additional Info: Pets allowed limit 1, unfurnished, W/D connections incl., available 4/15, 2 covered parking space(s), 1 fireplace(s), Highland Park ISD. ° Distinctive craftsman-style home with quality finish out, Travertine in entry and baths, hardwoods throughout all rooms, and wired for surround sound. Kitchen with black granite counters and high-end SS kitchen appliances; Wolf gas stove, sub-zero fridge, and electric double oven. Large main dining and living area with gas self-starter fireplace. First level offers a study, full bath and bedroom. Third level offers Master bedroom with two huge closets & bath with jacuzzi tub, Utility room with gas or electric dryer hook-up, drying rack and cabinets. Each level is zoned for efficiency. Ideal location in HPISD within walking distance of HP High School, restaurants, and retail. This is a must see! ° Additional Info: Pets allowed limit 1, unfurnished, W/D connections incl., 2 covered parking space(s), 1 fireplace(s), Highland Park ISD. ° Listing Agent: Erin Young Garrett, Allie Beth Allman & Assoc. ° Great opportunity to lease in Highland Park. Stunning French-style Townhome in Highland Park. This 3-story townhome consists of 3 bedrooms, 3 and a half baths, an elevator, balcony, and small yard with included patio. Large master bedroom with sitting area, his-and-hers closets, with other bedrooms being ensuite. Open concept living and dining area adjacent by gourmet chef's kitchen with marble countertops, stainless appliances, hardwood floors, wet bar, and wine cooler. 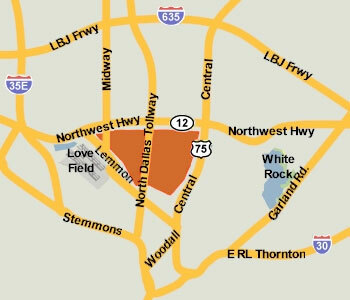 Accessibly located to Whole Foods, Dallas North Tollway, Uptown, and Downtown. ° Listing Agent: Alex Perry, Allie Beth Allman & Assoc. ° Additional Info: Pets allowed limit 1, unfurnished, available 6/14, 2 covered parking space(s), 1 fireplace(s), Highland Park ISD. ° Listing Agent: Therese Rourk, Compass RE Texas, LLC. ° Hard to find newer 4BR, 4BA, 3 story Townhome. Walk to Highland Park High School! 1st floor has Bedroom and Full Bath. Gourmet Kitchen, dining and bedroom with bath, Living Room on Second floor. Home has Central Vacuum system, Hardwood Floors. Kitchen has Granite counter tops with under-mount sink, Commercial grade Stainless Appliances with Double ovens, 5 Burner Gas cooktop, Microwave, Wine fridge, Built in Refrigerator. Large Living area with Gas Log FP. Master Bedroom with ensuite & 4th bedroom with bath on the private 3rd floor. 2 car garage, and central location make this a perfect choice to call home. ° Gorgeous & spacious townhome with private courtyard that is plumbed for gas grill. Located in HPISD & on the Katy Trail! This front unit has an ELEVATOR, beautiful hardwoods, lots of windows & open floor plan. The large Kitchen with stainless appliances, Bertazzoni range & exotic granite counters, opens to the living & dining rooms, creating a wonderful family & entertaining area. The Master suite has large spa-like bath with separate shower and free standing tub. Designer features complete this unique home! Located near Knox-Henderson & Travis Walk restaurants and shops! Perfect Urban living within Highland Park!